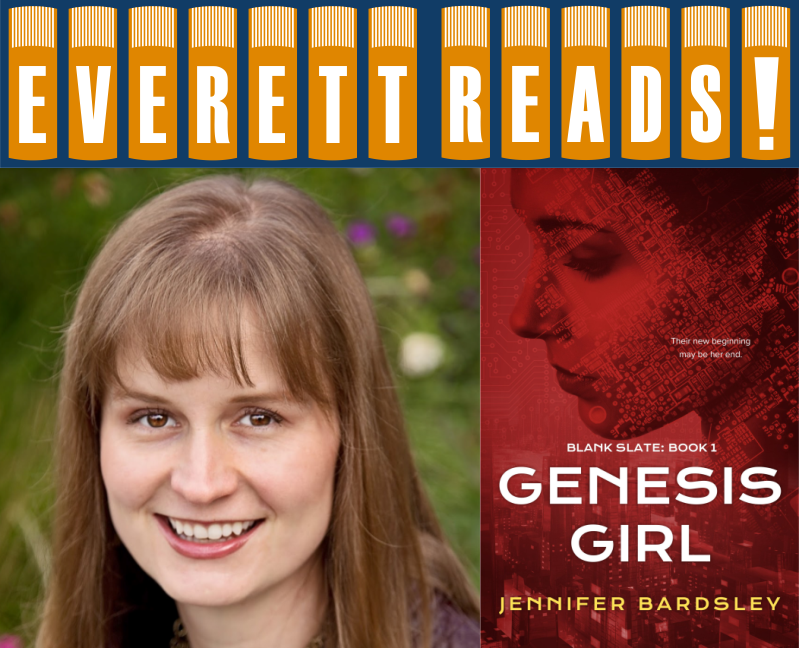 Genesis Girl is a fast-paced sci-fi thriller that will have you thinking about internet addiction and the power technology wields over our lives – and our future. Investigating perceptions of identity, Genesis Girl holds a fun-house mirror up to our technology obsessed society. Jennifer Bardsley writes the column “I Brake for Moms” for the Sunday edition of The Everett Daily Herald and blogs at Teaching My Baby to Read. She is a graduate of Stanford University. Jennifer lives with her husband and two children in Edmonds, WA.